The professional wrestling world has lost a legend today (Wed. January 2, 2019). WWE has announced that Hall Of Famer “Mean” Gene Okerlund has passed away at the age of 76-years-old. After leaving the radio industry, Okerlund began his professional wrestling career with the American Wrestling Association (AWA) in 1970. He remained there for 14 years before accepting a job with WWE in 1984. Okerlund remained with WWE until his deal expired in 1993 when he made the decision to venture off to World Championship Wrestling (WCW) after WWE did not offer him a renewal. Throughout his career, Okerlund solidified himself as, arguably, the greatest ring announcer and interviewer professional wrestling has ever seen. In 2001 Okerlund returned to WWE and had made sporadic appearances for the company over the next 17 years. In April of 2006, Okerlund was inducted into the WWE Hall Of Fame. He also inducted Mr. T into the HOF in April of 2014 just before WrestleMania 30. His latest WWE appearance came at the RAW 25th anniversary special last January when he interviewed then-WWE Champion AJ Styles. We here at SEScoops would like to offer our deepest condolences to Okerlund’s family during this difficult time. 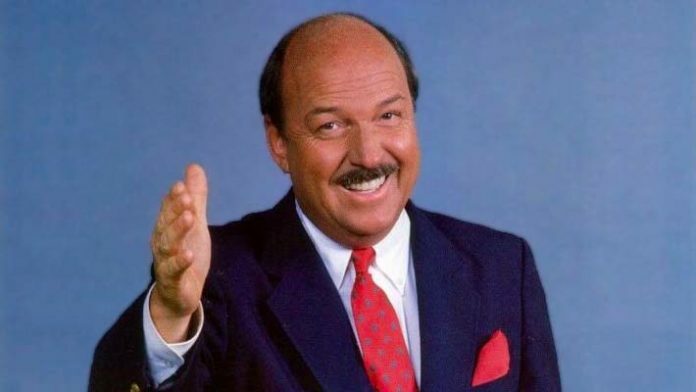 RIP Mean Gene Okerlund. Gene was the mold others aspired to be. Without a doubt one of the most talented individuals I have ever had the privilege to work with. Rest in Peace Gene and thank you for all of your wisdom and help throughout the years. Of the very few regrets I harbor in my career, one was never getting to scream "Mean Gene" when answering the queries of a man who presence was larger than life and ingrained in the better memories of my childhood.